Categories: T, Taj Brands. 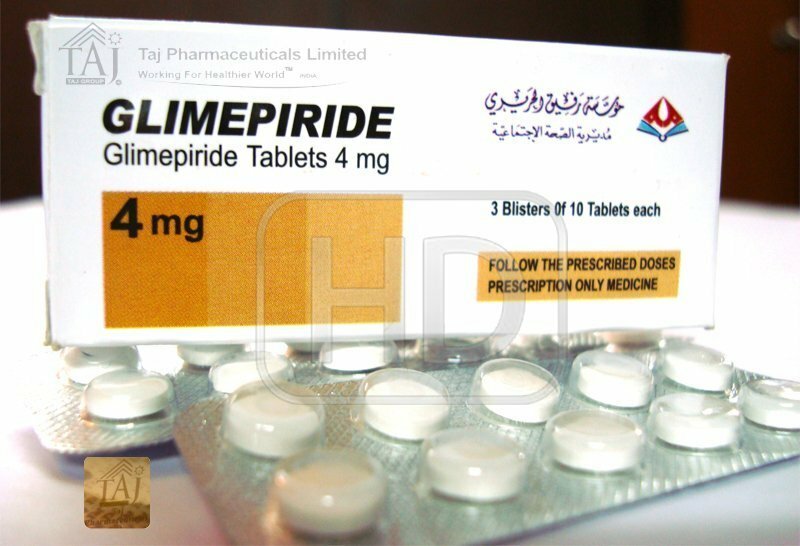 Tags: diabetes, diabetes mellitus, Glimmeppeerride, T.
Active ingredient in TYRAEL is Glimepiride. 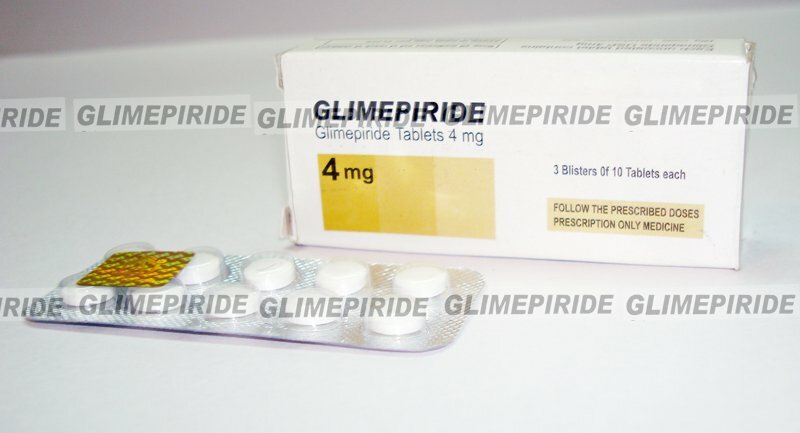 Glimepiride is an orally active blood sugar lowering drug. This drug belongs to a blood sugar lowering group of medicines called sulfonylureas. Glimepiride works by increasing the amount of insulin released from your pancreas. The insulin then lowers your blood sugar levels. TYRAEL is used to treat a certain form of diabetes (type 2 diabetes mellitus) when diet, physical exercise and weight reduction alone have not been able to control your blood sugar levels. 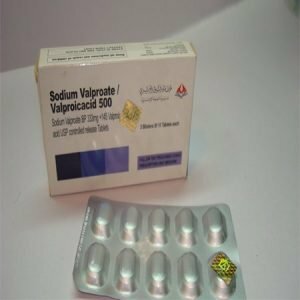 •	You are allergic (hypersensitive) to Glimepiride or other sulfonylureas (medicines used to lower your blood sugar such as glibenclamide) or sulfonamides (medicines for bacterial infections such as sulfamethoxazole) or any of the other ingredients of this medicine (listed in section 6 what TYRAEL contains). •	You are in a diabetic coma. •	You have severe kidney disease. •	Do not take this medicine if any of the above apply to you. If you are not sure, talk to your doctor or pharmacist before taking TYRAEL. If you are not sure if any of these apply to you, talk to your doctor or pharmacist before taking TYRAEL. Lowering of the haemoglobin level and breakdown of red blood cells (haemolytic anemia) can occur in patients missing the enzyme glucose-6-phoshate dehydrogenase. When you take TYRAEL, you may get hypoglycaemia (low blood sugar). Please see below for additional information about hypoglycaemia, its signs and treatment. •	If you increase the amount of exercise you do and you don’t eat enough food or eat food containing less carbohydrate than usual. In most cases the signs of reduced blood sugar vanish very quickly when you consume some form of sugar, e.g. sugar cubes, sweet juice, and sweetened tea. You should therefore always take some form of sugar with you (e.g. sugar cubes). Remember that artificial sweeteners are not effective. Please contact your doctor or go to the hospital if taking sugar does not help or if the symptoms recur. The level of sugar in your blood or urine should be checked regularly. Your doctor may also take blood tests to monitor your blood cell levels and liver function. TYRAEL is not recommended for use in children under 18 years of age. Your doctor may wish to change your dose of TYRAEL if you are taking other medicines, which may weaken or strengthen the effect of TYRAEL on the level of sugar in your blood. •	Medicines to treat high blood pressure or heart failure such as beta-blockers, clonidine, guanethidine and reserpine. These can also hide the signs of hypoglycaemia, so special care is needed when taking these medicines. •	Colesevelam, a medicine used to reduce cholesterol, has an effect on the absorption of TYRAEL. To avoid this effect, you should be advised to take TYRAEL at least 4 hours before colesevelam. TYRAEL should not be taken during pregancy. Tell your doctor if you are, you think you might be or are planning to become pregnant. Glimepiride may pass into breast milk. Glimepiride should not be taken during breast feeeding. If you have been told by your doctor that you cannot tolerate some sugars, contact your doctor before taking this medicinal product. •	Take this medicine by mouth just before or with the first main meal of the day (usually breakfast). If you do not have breakfast you should take the product on schedule as prescribed by your doctor. It is important not to leave out any meal when you are on TYRAEL. •	Swallow the tablets whole with at least half glass of water. Do not crush or chew the tablets. The dose of TYRAEL depends on your needs, condition and results of blood and urine sugar tests and is determined by your doctor. Do not take more tablets than your doctor has prescribed. •	The usual starting dose is one Glimepiride 1 mg tablet once a day. •	If necessary, your doctor may increase the dose after each 1 – 2 weeks of treatment. •	The maximum recommended dose is 6 mg Glimepiride tablet per day. •	Your dose of TYRAEL may need to be adjusted if you change weight, change your lifestyle, or if you are under a lot of stress. Please speak to your doctor if any of these situations apply to you. If you happen to have taken too much TYRAEL or an additional dose there is a danger of hypoglycaemia and therefore you should instantly consume enough sugar (e.g. a small bar of sugar cubes, sweet juice, sweetened tea) and inform a doctor immediately. When treating hypoglycaemia due to accidental intake in children, the quantity of sugar given must be carefully controlled to avoid the possibility of producing dangerous hyperglycaemia. Persons in a state of unconsciousness must not be given food or drink. Since the state of hypoglycaemia may last for some time it is very important that the patient is carefully monitored until there is no more danger. Admission into hospital may be necessary, also as a measure of precaution. Show the doctor the package or remaining tablets, so the doctor knows what has been taken. Severe cases of hypoglycaemia accompanied by loss of consciousness and coma are cases of medical emergency requiring immediate medical treatment and admission into hospital. It may be helpful to tell your family & friends to call a doctor immediately if this happens to you. If you forget to take a dose, do not take a double dose to make up for forgotten doses. If you interrupt or stop the treatment you should be aware that the desired blood sugar lowering effect is not achieved or that the disease will get worse again. Keep taking TYRAEL until your doctor tells you to stop. If you have any further questions on the use of this medicine, ask your doctor or pharmacist or nurse. •	Allergy (hypersensitivity) of the skin such as itching, rash, hives and increased sensitivity to sun. progressing to shock. If you experience any of these symptoms, tell your doctor immediately. •	Abnormal liver function including yellowing of the skin and eyes (jaundice), impairment of the bile flow (cholestasis), inflammation of the liver (hepatitis) or liver failure. If you experience any of these symptoms, tell your doctor immediately. or breathing problems, swelling of your lips, throat or tongue. Therefore in the event of one of these side effects, tell your doctor immediately. •	This medicinal product does not require any special temperature storage condition. Store in the original package in order to protect from moisture. Keep the blister in the outer carton. 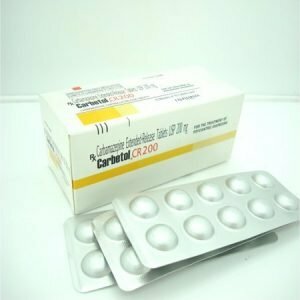 •	Do not use this medicine after the expiry date which is stated on the carton (EXP). The expiry date refers to the last day of that month. •	Do not use this medicine if you notice visible signs of deterioration. •	Do not throw away any medicines via wastewater or household waste. Ask your pharmacist how to throw away medicines you no longer use. These measures will help protect the environment. 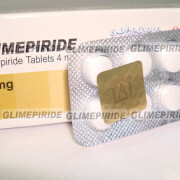 The active substance is Glimepiride. 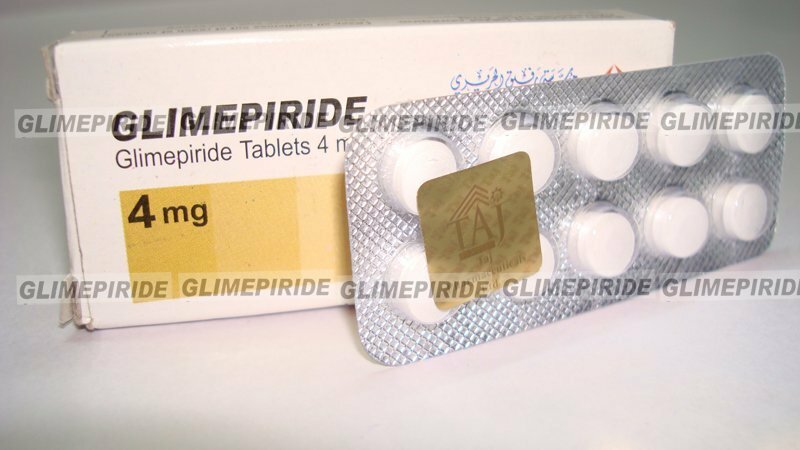 For 1mg: Each tablet contains 1 mg of glimepiride. 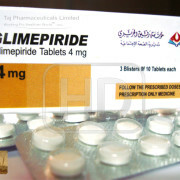 For 2mg: Each tablet contains 2 mg of glimepiride. 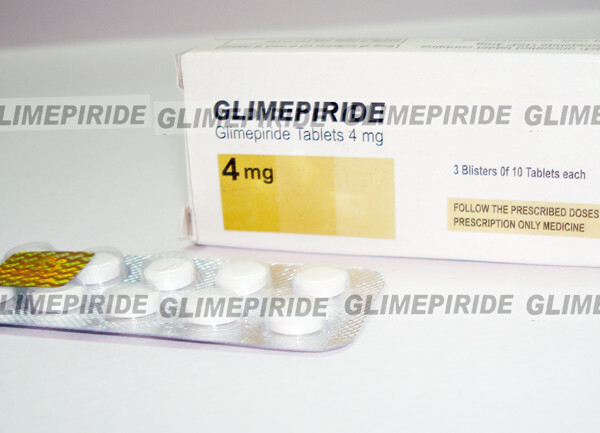 For 3mg: Each tablet contains 3 mg of glimepiride. 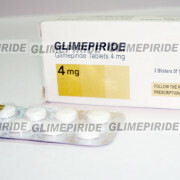 For 4mg: Each tablet contains 4 mg of glimepiride. TYRAEL 1mg: Pink coloured round, flat uncoated tablets with plain on both side. TYRAEL 2mg: Light pink coloured oval shaped, uncoated tablets with plain on both side. TYRAEL 3mg: Pale yellow, oval shaped uncoated tablets with plain on both side. TYRAEL 4mg: White oval shaped uncoated tablets with plain on both side. TYRAEL are available in blister packs of 10, 30, 60, 90,120 and 180 tablets.